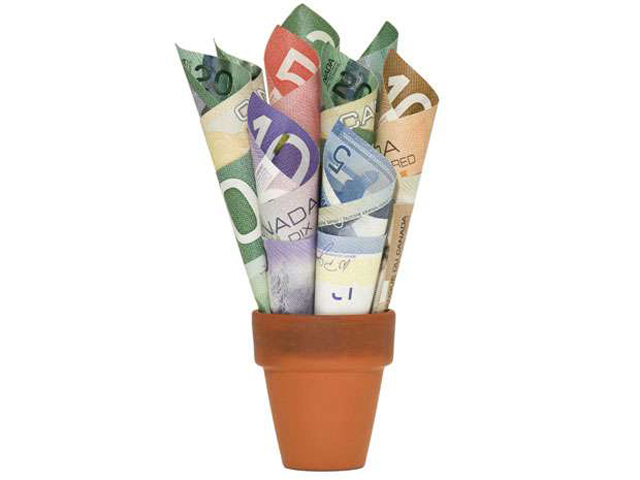 Thomson Reuters released its analysis on venture capital deal activity for Q3 2016, stating that venture capital activity in Canada is continuing at a rapid pace in the first nine months of the year. In total, $2.5 billion was invested in 446 deals from January to September — representing the best first nine months of any calendar year since 2001. This also the most number of deals done since 2005. 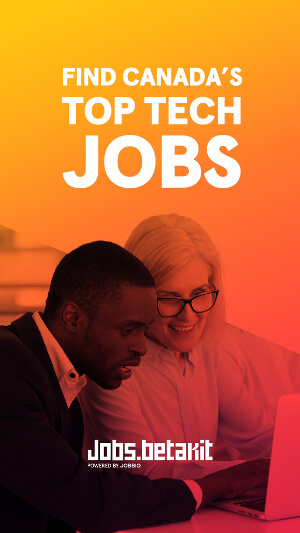 As with last year, investment in the IT sector took the largest share of VC dollars with 62 percent of investment totals from January to September, or $1.6 billion. Investment in the sector has now reached $2 billion over the past twelve months, up 24 percent over the previous twelve-month period. Life sciences companies received $531 million of total investments in the first three quarters, while cleantech companies received $149 million. 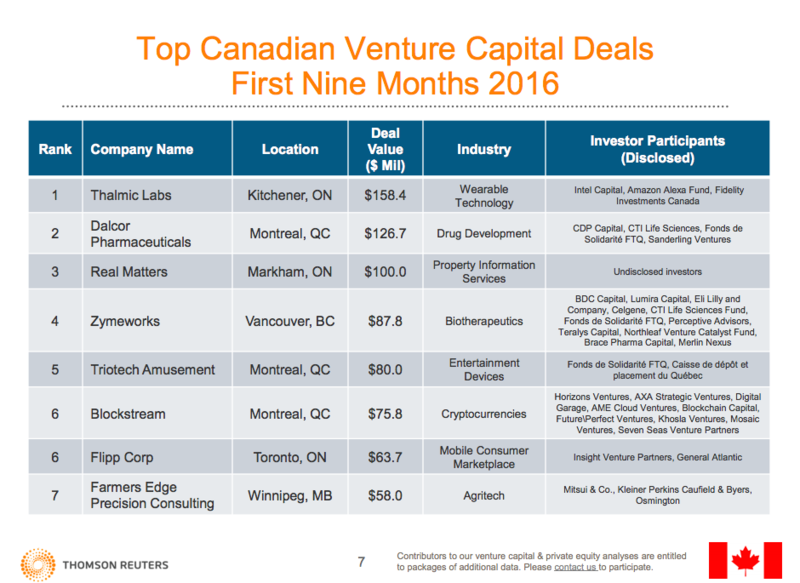 The report also included the top Canadian venture deals in the first nine months of 2016. Thalmic Labs, which raised a $158 million Series B in September, took the top spot. Dalcor Pharmaceuticals, Real Matters, Zymeworks, and Triotech Amusement were also in the top five. 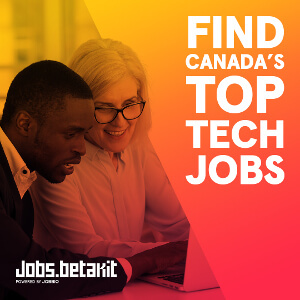 The provinces of Ontario, Quebec, and British Columbia all rose in rank in North American VC rankings; while California took the top spot, Ontario sat at sixth place (up from 8 in 2015); Quebec came in 8th (up from 14 in 2015); and British Columbia came in 18th place (up from 21). 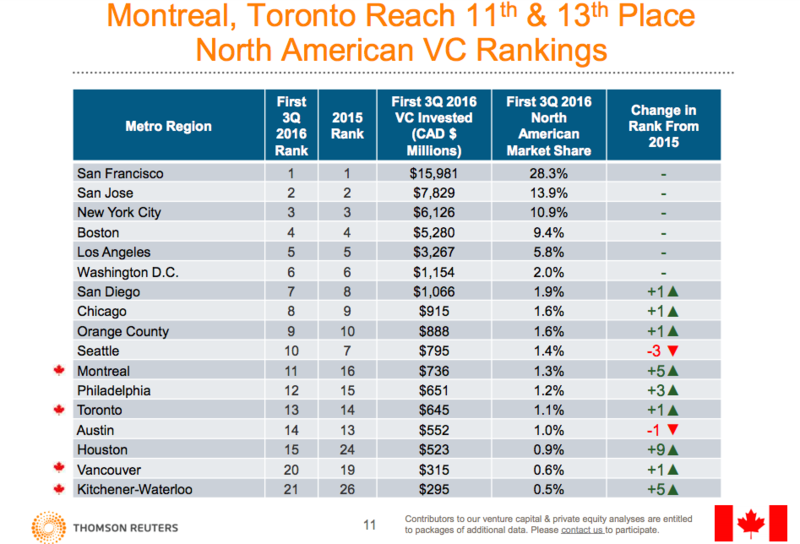 However, Montreal was the top Canadian city in terms of North American VC rankings at 11th place, with Toronto following at 13th place, Vancouver sitting at 20th, and Kitchener-Waterloo sitting at 21. San Francisco was the top city.